We started our day with breakfast at Lumberjack Cafe and then walked the picturesque main street, did some shopping and then off to Artist’s by the Sea Auction. The auction was a fundraiser for the Hospice. Throughout St. Andrews artists were painting on the street and as soon as they finished their paintings they were brought to the Legion for viewing, bidding during the silent auction or outright purchase. We dined at the Station on King for lunch. 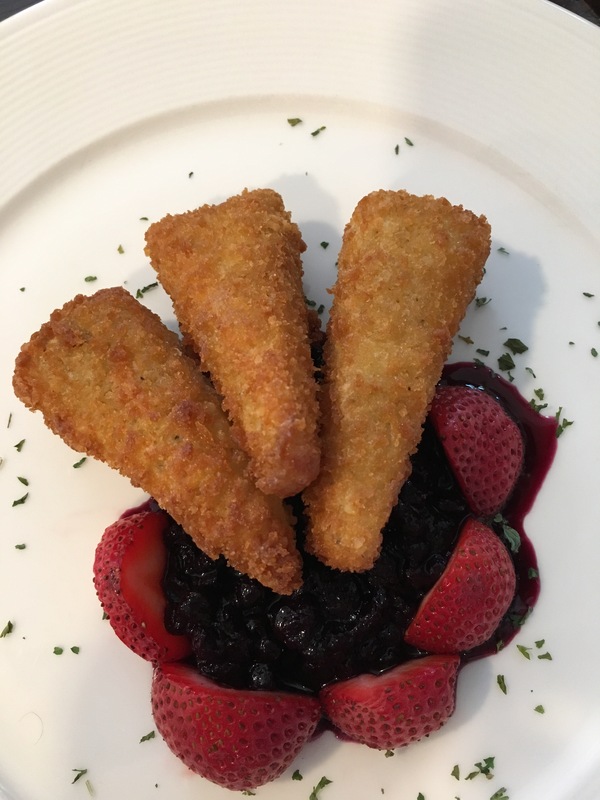 The highlight of this meal was our app, fried brie. Our plan is to spend most of today at the Huntsman Marine Science Centre. As soon as you enter the Hunstman Fundy Discovery Aquiatium there is a a gigantic water tank display that depicts the magnitude of the Bay of Fundy tides. It is awe-inspiring to stand at the bottom of the tank looking up at the 20 feet of water and know that the tides change with this colossal amount of water every six hours. 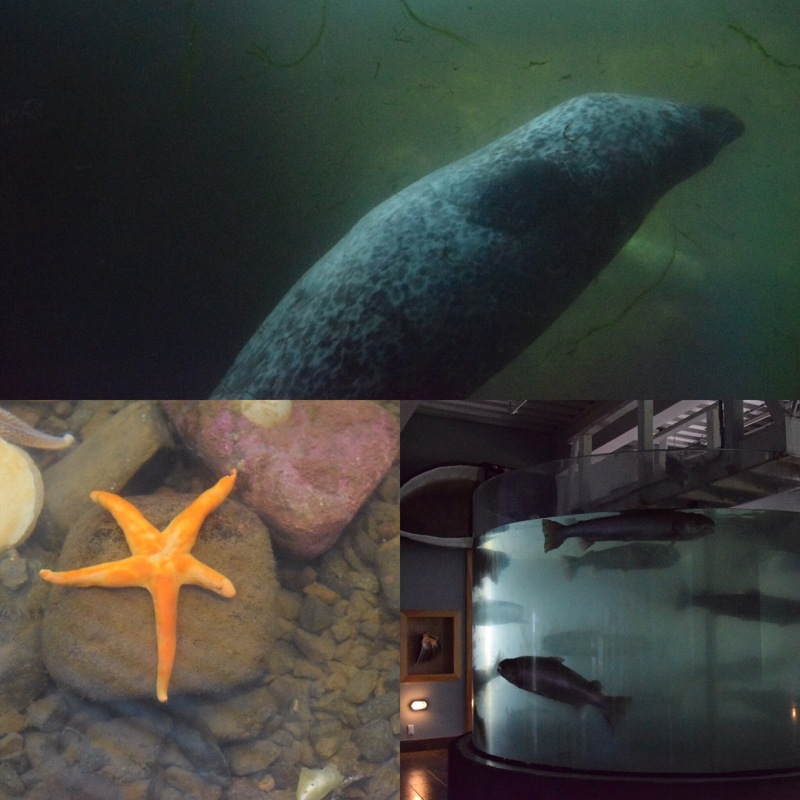 There are also sturgeon, seahorses, salmon, intertidal creatures, and underwater viewing of Bay of Fundy fish to see at the aquarium. We spent quite a bit of time watching Loki and Snorkel, the resident harbour seals. We ended the night with a great BBQ at Ben’s with friends. St. Andrews is a charming city full of wonderful people.